Many of us believe that the state universities in the country are not capable of providing us what some Federal universities are giving us, in terms of facilities, educational system. But many state universities have proven us wrong because a lot of them have been able to do a lot more than some of their Federal counterpart. So we come up with The Best State University in Nigeria. These state universities listed below are the top 20 best state universities in Nigeria 2019, they have provided what some Federal Universities have not even given us. 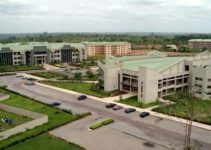 The Lagos State University (LASU) has beaten some Federal Universities, in terms of facilities and also the educational system, founded in 1983, LASU is one school to be proud of, the school has a student population of 61,000 and also operates a multi-campus system, the school has 4 campuses which are located in Ojo (main campus), Ikeja, Surulere, Epe. LASU has 9 faculties which are namely; Faculty of Social Sciences, Engineering, School of Basic Medical Science and Education, Business Administration, Law, School of Clinical Sciences, Arts. Founded in 1980, the Rivers State University is one of the best states University in the country. The University has a student population of 17,000 and Staff strength of 3,000. RSUST is the first Technological University in the country. RSUST ha 7 faculties which are namely; Environmental Sciences, Faculty of Agriculture, Law, Technical and Science Education, Engineering, College of Medicine, Science. RSUST is among the only 2 universities in Nigeria offering degree programmes in Marine Engineering in the country. The University was established in the year 1992, by the Delta State Government. The University runs a multiple campus system, it has 3 campuses, the campus has a student capacity of 36,000 with 11 faculties namely; Faculty of Arts, Agriculture, Science, Education, Law, Engineering, Basic medical sciences, Management studies, environmental studies, pharmacy. Located in Edo state, this university was established in the year 1981. The University was first known as Bendel State University before it was later renamed to Ambrose Ali University by honoring the professor Ambrose. The University has 8 colleges Legal studies and Medical science, Agriculture and Natural resources, Engineering and Technology, Arts and social science, Natural science, Education. 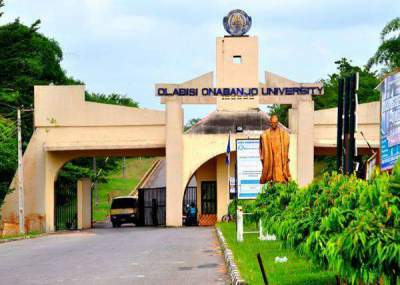 The University was established in 1982 by the Old Ondo State. The school has 6 faculties which are namely; Arts. Science, Education, Law, Agriculture, Social, and Management Science. LAUTECH this is a state-owned university in Ogbomosho, Oyo State. The University is among the best state University in the country. The University was established in 1990, it has a student population of 25,000 with staff strength of 3,000 staffs. This University was established in the year 1982, the University has the faculty of Agriculture, Science, and Social Science, Arts, Management Sciences, Clinical Sciences, Basic Medical Science. 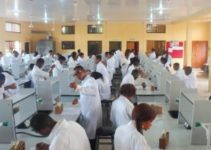 The Kogi State University was established in the year 1999, the Kogi State University is not a very popular University but it is ranked among the best Universities in Africa, the University has a student population of 50,000. The Niger Delta University located in Wilberforce Island Bayelsa State. This university was established in the year 2000. It has 2 campuses one in Yenagoa and Amassoma. The university has 9 faculties, Faculty of Agriculture, Medical Sciences, Law, Pharmacy, Science, Social Sciences, Engineering, Management Sciences, Arts, Education. This University was established in the year 2006, the University operates a multi-campus system, faculties are namely; Social Sciences, Law, Humanities, Agriculture and Education, Health Science. Kwara State University was established by Senate. President Dr. Bukola Saraki in the year 2009, which was then the former Governor of the state. The University has 3 campuses. Generally, the University has Agriculture and Veterinary Sciences, Management and Social Sciences, Education, Humanities, College of Pure and Applied Sciences. This University was founded in the year 1980 as Anambra State University of Science and Technology was later changed when Enugu state was created. The University has the Faculty of Engineering, Law, Agriculture and Natural Resources Management, Applied Natural Sciences, Education, Social Sciences, Pharmacy. The University has a student population of 50,000. Located in Kaduna State, the University was established in 2004 and currently has 2 campuses and also has different faculties in the school namely; Arts, Science, Medicine, Pharmacy, Management, and Social Sciences. The Imo State University was established in the year 1981, one of the best State Universities in the country. The University has different faculties which are namely; Agriculture, Law, Engineering. Social Sciences, Education. This is one of the best state Universities in the Eastern region, the University first started out as the Imo State University until the Abia State University. The University has the Colleges of Medicine, Law, Optometry and Postgraduate Studies, Biological and Physical Sciences, Humanities, Social Sciences, Agriculture and Vet nary Medicine. Ebonyi State University was established in the year 1999. This university has different faculties which are Agriculture, Social Sciences and others. Nassarawa State University is the best State University in the Northern region. 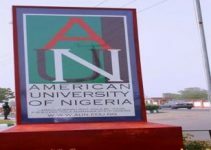 This university has different faculties and also a good number of student’s population, the University is located in Keffi which is close to Abuja. This University brings us to the last on the list, the university was founded in the year 2010, and they only have one faculty which is the faculty of Science. That’s all about the Top 20 Best State Universities in Nigeria 2019. These state universities listed below are the top 20 best state universities in Nigeria 2018, they have provided what some Federal Universities have not even given us.